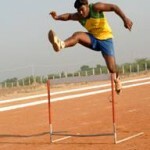 SIT has stupendous sports facilities, both indoor and outdoor, for maintaining students’ physical fitness and health. Sethu Sports Village is set up with a standard 400 meter track with drainage system. Separate basketball court, volleyball court, grassed football ground, hockey ground and cricket ground are also available. Our students are encouraged to participate in National level, Inter collegiate level and Open tournaments. They have bagged many laurels and prizes to the college. 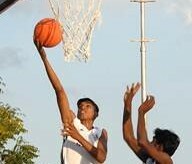 Our college Basketball (Men & Women) Volleyball, Hockey, Cricket, Football, Kabadi, Hand Ball (Women) & Athletics Team were selected to represent Anna University in the Inter University Tournaments.Our college has won first position in Anna University 9th Zonal level tournaments and also won the second place in overall Anna University Inter Zonal level tournaments.